In the field, identify eight species of birds. Make and set out a birdhouse OR a feeding station OR a birdbath. List what birds used it during a period of one month. In the field, identify three species of wild mammals. Make plaster casts of the tracks of a wild mammal. Show that you can recognize the venomous snakes in your area. OR identify one reptile or amphibian by eggs, den, burrow or other signs. OR keep a colony of ants or bees through one season. Identify two species of fish native to your area. Collect four kinds of animal food eaten by fish in the wild. Identify five species of mollusks and crustaceans. Collect, mount, and label six shells. 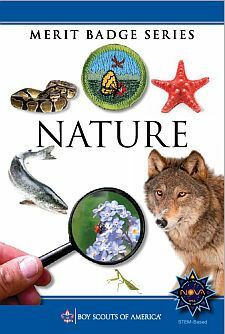 In the field, identify 15 species of wild plants. OR the leaves of 12 plants. Collect and identify soils found in different layers of a soil profile. Collect and identify five different types of rocks from your area..
* Photos may be taken with your own equipment or gathered from other sources.